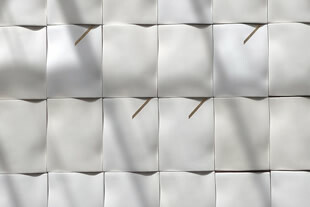 Regina Heinz is a London based ceramic art practice specialising in wall based sculptural artworks for interior and exterior spaces. As an artist Regina is interested in colour, texture, light and reflection. 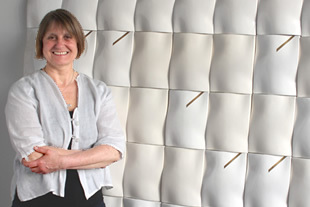 Using her expertise in ceramics, Regina creates stunning 3D feature walls that introduce luxurious ceramic surfaces and a tactile and natural quality into an architectural context at any specified scale. 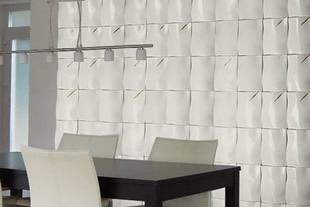 Regina Heinz creates feature walls that explore the relationship between art, architecture and landscape and introduce rich and sensual ceramic surfaces into architectural spaces. Regina Heinz is an Austrian-born ceramic artist, designer and lecturer with a passion for colour, form and beautiful vibrant ceramic surfaces. Since 2011 Regina has been working with leading art consultants, developers and luxury interior design companies to create individual art works as well as large scale commissions for corporate and private clients.